The Better Business Bureau of Central, Northern and Western Arizona issued a warning to consumers to beware when shopping for expensive and hard-to-find Fiesta Bowl tickets (or Super Bowl tickets, or BCS Championship tickets or tickets to other high profile sporting events or concerts) online or from scalpers. Selling tickets in the secondary market is a multi-billion dollar industry, and not all of it is legitimate. 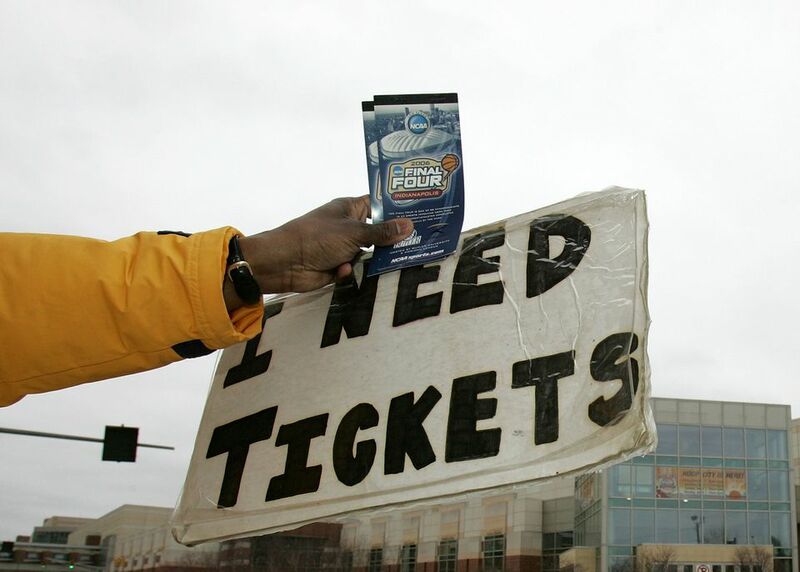 A secondary market means any ticket broker or seller who didn't actually have the authority to issue the ticket; they acquired it from the team or the venue and are re-selling it. For instance, a season ticket holder who has tickets to the Fiesta Bowl and decides to sell them at a ticket exchange or on Craigslist is a secondary ticket seller. Likewise, legitimate ticket brokers are secondary ticket sellers. Once you pay for tickets purchased online, you have no way of knowing if they will ever show up. Your tickets may be rotten, including obstructed view seats, seats that aren't together, or otherwise not what you thought they were. You don't know if the tickets you are purchasing at an online exchange or from a scalper or unauthorized ticket broker are real or not. Your tickets may be counterfeit. You'll show up at the game, sometimes at considerable time and expense, and be turned away. Only the event, the venue and the event’s authorized ticketing company can guarantee the ticket you purchase online will be valid to attend the event. When buying from a merchant, always look for the BBBOnLine seal. The logo will tell you that you’re dealing with a company that has a good reputation for satisfying customers and a secure website for processing your payment. Even then, don't take their word for it! Check with the BBB to make sure they earned that seal! When buying from an individual through an online exchange don’t be lured away from the website by the seller. Even if you met the seller on the exchange, the company may not guarantee any lost money if a transaction occurs outside their domain. Ticket brokers offer tickets, almost always at prices higher than face value, that are being resold by other brokers or season ticket holders. Make sure you use a reputable company. For example, each professional sports organization, like Major League Baseball or the National Football League, has official brokers for hard-to-find tickets. For example, TicketsNow.com is owned by Ticketmaster and offers various guarantees about tickets purchased through their exchange. Many reputable ticket brokers will make tickets available via email, making the exchange easy and quick; you never have to communicate with or meet the seller. If you buy tickets through an online auction, choose a seller with a long, continuous history of satisfied customers. Scammers can hijack old accounts, so make sure they have recently bought or sold other items. Pay with a credit card, which may offer some protection and potential reimbursement. Never pay with a cashier’s check or wire money to a seller; you’ll have no way to get your money back if the tickets do not arrive. Many sellers will include pictures of the tickets with their posts on auction sites or bulletin boards. Scalpers near the venue will have the tickets themselves. Scrutinize the tickets closely for any inaccuracies or alterations, and cross-check the seat assignment with the map on the venue’s website before you buy. Buying tickets from a stranger is no different than buying antiques, cars, or anything else of value from someone you don't know and will never meet or see again. Don't be scammed. Use common sense, understand the risks, and use these tips to minimize your potential loss if you intend to go ahead and purchase tickets from an unauthorized seller.